Objective: The Health Sector Development Support Project seeks to increase coverage of key maternal and child health interventions in targeted rural and urban districts. Zimbabwe made some gains towards reaching key Millennium Development Goals. Nevertheless, at least 70 percent of annual deaths are still attributable to communicable diseases, maternal and perinatal morbidity and malnutrition. Maternal and child mortality rates remain high, with the maternal mortality ratio reaching 651 per 100,000 live births in 2015 (ZDHS 2015); the infant mortality rate stagnating at 50 deaths per 1,000 live births between 1990 and 2015 (ZDHS 2015); and the under-five mortality rate fluctuating from 76 deaths per 1,000 live births in 1990 to 85 in 2010 (ZDHS, 2010/2011) to 69 deaths per 1,000 live births in 2015(ZDHS 2015). Despite improvements in the coverage of maternal and child health services between 2009 and 2015, persistent inequities and low quality of care continue to hamper service utilization. This is further exacerbated by the fact that 25 percent of health expenditures are being shouldered by households (National Health Accounts, 2015), heightening the risk of catastrophic health expenditures, particularly for poor populations. The Health Sector Development Support Project combines supply-side performance-based financing (PBF) and demand-side results-based financing (RBF) to enhance the coverage and utilization of quality maternal and child (MCH) services. Under both schemes, the Ministry of Health and Child Care (MOHCC) – represented by Provincial Health Executives and District Health Executives – leads the RBF regulation function, ensuring compliance with RBF objectives and principles, and alignment with national health promotion norms and guidelines. Further, a Project Implementation Entity (PIE), namely Cordaid, is contracted to lead both the RBF purchasing and the RBF fundholding functions. Under the supply-side RBF scheme, the PIE contracts health centers and district hospitals in 18 rural districts to deliver a package of basic MCH services. These health facilities are paid quarterly based on pre-defined performance thresholds related to the quantity and quality of services provided, and based on facility remoteness. Conversely, under the demand-side RBF scheme, municipal health facilities and referral facilities in two urban districts provide vouchers to encourage the poor to adopt appropriate health seeking behaviors and use key MCH services. The voucher scheme entitles mothers, neonates, and children under-five to access free healthcare and benefit from emergency transportation service, if needed. Specifically, the voucher scheme covers four antenatal care visits, institutional deliveries and related complications (including C-section), two post-natal care visits and post-partum family planning services. The ex-ante RBF verification function carried out prior to the disbursement of RBF payments is overseen by the PIE. The verification of the quantity of services delivered is carried out monthly by the PIE using a risk-based sampling approach focused on ensuring that facilities that present higher risks – as indicated, among other things, by variances between declared and verified results, the size of catchment population – are verified monthly, whilst those presenting a moderate risk are verified twice a quarter, and those with minimal risks only once a quarter. The approach nevertheless ensures that each facility is verified at least once per quarter. The verification of the quality of care is led by the MOHCC, with DHEs and PHEs implementing a quality checklist in all RBF facilities on a quarterly basis. In addition, the PIE contracts community-based organizations (CBOs) to evaluate patient satisfaction. These CBOs are also tasked with tracing patients in the community to ascertain that reported services were delivered. This two-fold community verification is carried out on a sample of patients on a quarterly basis. At the health facility level, for a subset of rural health centers and hospitals, the Health Sector Development Support Project supports the introduction and implementation of a Continuous Quality Improvement (CQI) model in which health workers collaborate as a team to improve the quality of care, using the Plan-Do-Study-Act (PDSA) cycle. The CQI model was rolled out in five districts from the WB supported 18 RBF districts. It is composed of two types of clinical audits: (i) audit of maternal-neonatal deaths and near-miss events allowing teams to reflect on, understand, and learn from rare, catastrophic (or near-catastrophic) events through peer review of cases that caused concern, affected patient safety, or resulted in an unfortunate outcome; and (ii) monthly clinical audits, which are systematic reviews of patient charts to determine the care given in relation to the standard of care. These two types of audit are carried out internally by site for monthly monitoring and externally for data validation. The ex-post RBF verification function carried out after RBF payments have been made is led by an independent entity, which counter-verifies results on a semi-annual basis on a sample of facilities to ensure the accuracy of internal verifications and further assess reported performance. The Health Sector Development Support (HSDS) Project was initiated in September 2011, and received additional financing in July 2013 and again in December 2015. Covering a population of 4.1 million, the RBF component has made significant progress since July 2011, when RBF pilots were launched in two rural districts, namely Zvishavane and Marondera. 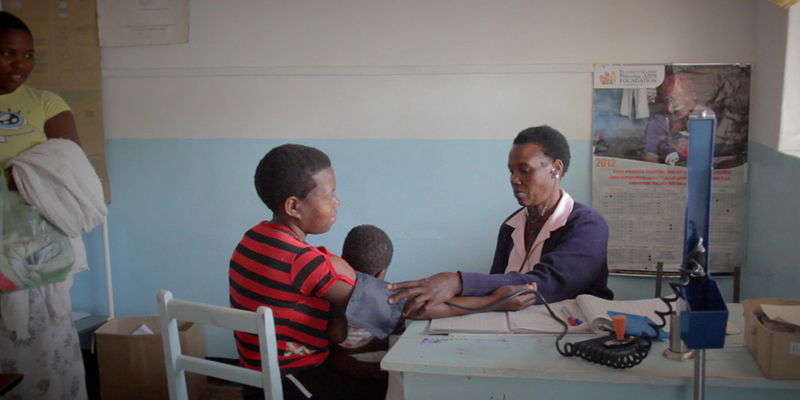 Impact evaluation results show that while Zimbabwe witnessed overall gains in access to health services, RBF pilot districts made much more substantial gains in priority outcomes measured by the project, such as skilled attendance at birth, early seeking of antenatal care during pregnancy and comprehensiveness of observations undertaken during pregnant women’s visits to health facilities. It is important to combine RBF with complementary investments in quality improvement to amplify the effects of RBF on the quality of care. It is essential to explore other possible cost-effective means of verification and counter-verification. The overall evaluation plan will aim to maximize learning on both schemes using different types of evaluation and learning tools. At a second stage, the evaluation will seek to answer policy relevant questions related to RBF and the quality of care. These questions are currently being developed.